Last-Minute, Student-Friendly Holiday Gift Ideas! It’s hard to believe that the holiday season is upon us, and 2016 almost over! Every year I try to get my holiday shopping done early, but I always seem to fall into the pattern of buying the bulk of my gifts at the last minute. The holiday season can be stressful for students . . . many of us have exams until later in the month, and when it comes to finances, things are usually a little tight while we wait for our next OSAP disbursement. The good news is, you don’t need much money (if any) to spread the love to your friends and family this season. Below you can find some of my favourite student-friendly gift ideas! Maybe someone needs to write this guy a warm fuzzy? Image Source. Warm fuzzies have changed my life! A few years back I had the pleasure of attending the LeaderShape Institute. York’s session has a history of setting up ‘mailboxes’ (brown bags) for students where they can leave so-called warm fuzzies (cute little feel-good notes) for one another. Reading the warm fuzzies at the end of the week fills you with great feelings and gives you a sense of place and community: that’s exactly how these cute notes got their name! 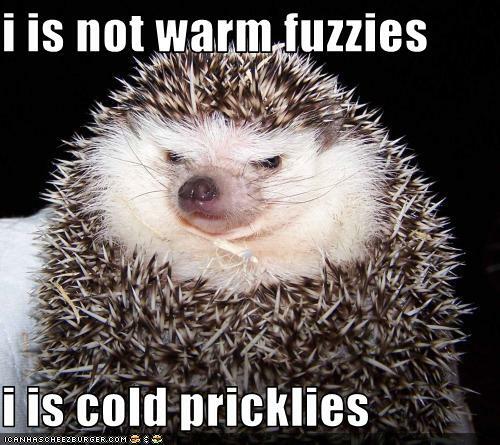 I think warm fuzzies are a perfect gift idea for students. The only potential cost is likely that of paper, and as a student you probably have some lying around. The warm fuzzy can be as short or as long as you like, but I think the key is making it personal. My favourite warm fuzzies all had inside jokes, shared memories and unexpected compliments. You can also take your warm fuzzy to the next level by purchasing some nice stationary paper or having some fun and getting crafty with plain paper! Handing down beloved books is a beautiful way to share ideas and a bond with friends. If you’re too attached to your own books, maybe you can get some much-loved versions secondhand for your friends and family. Toronto has plenty of options for secondhand bookstores! Hand-me-downs (HMD) can be a great gift option, but this might be better suited to people with whom you are closer. The key to a successful HMD is knowing that it will have a positive impact on the person you gift it to. One option I found on this nifty Greatist list; consider gifting one of your own favourite books with a personal note on the inside cover. I know that books often leave some kind of impact on me, so I think sharing a good book is not only a material gift but also an emotional one. You are almost sharing a part of yourself! Other great hand-me-down options can include: music or mixtapes, clothing or gadgets. For the clothing option, some people even have holiday clothing swaps: you each bring a bag of goods, bid on your favourite pieces (you can rock-paper-scissors or draw sticks to decide who gets it) and the remaining clothes get donated to a deserving charitable organization! This truly creates a win-win situation. Who says no to this kind of deliciousness, especially if it’s homemade? Baked goods are a relatively cheap option for gifts. This year I’m making a bunch of family gift baskets of holiday treats instead of trying to get all of my relatives presents. I start by looking up different recipes online on websites such as allrecipes.ca (the more reviews, the better). From there I narrow it down to three to five options. Depending on my budget and how much time I have, I select my final choices and get to baking. Save money by purchasing some of your ingredients at a bulk food store. There are also no-bake options for students who have limited kitchen utensils and appliances. You can also get cute gift baskets or metal tins from the dollar store. Once your baking is done, divide up your tasty treats into the baskets/tins and label or write a little note on each one. That’s it! This is also something fun you can do with your friends if you have enough space. Teamwork baking is even more fun than doing it alone! Gift baskets don’t have to be complicated. You can get a basket for very little money at the dollar store. Throw in some movie-related treats as well as a favourite movie, new movie, or perhaps even just a written promise to catch the next big movie in theatres! Simple, affordable and thoughtful. Image source. Gift baskets are a thoughtful gift option for your favourite friends and family. 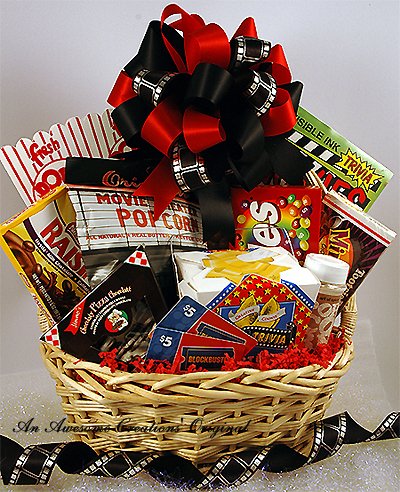 Many pre-made gift baskets start at $50 or more, so why not create your own? The easiest gift basket would contain the three things in this post: throw in some warm fuzzies, a nice HMD book and playlist, and some nice baked treats! For those with a slightly bigger budget, making a gift basket theme that suits the gift’s recipient is a good way to start brainstorming. Dollar stores and bargain shops often have some great items to include. Do you have a friend that dreams of traveling? Throw in some sunscreen, a lei, sunglasses, and other similar travel-themed items. It doesn’t have to cost a lot to mean a lot! Well, that’s all for today’s post. I hope everyone has a fantastic, relaxing and meaningful winter break. Enjoy the time with your loved ones or even just by yourself. What are your winter break plans? Comment below! Note: This post was fully revised and updated on December 15, 2016.